Today marks the 52nd anniversary of the passing of Chanie Wenjack, a 12 year old Ojibwe Anishinaabe boy who died trying to run away from residential school in Ontario. His death sparked an inquest and began to raise ethical questions about the impact of residential schools on Indigenous peoples. This impact continues to reverberate throughout Canada today. This is why a number of Indigenous participants, such as Lillian Howard hesitated to join Canada C3. Here she is in her own words. 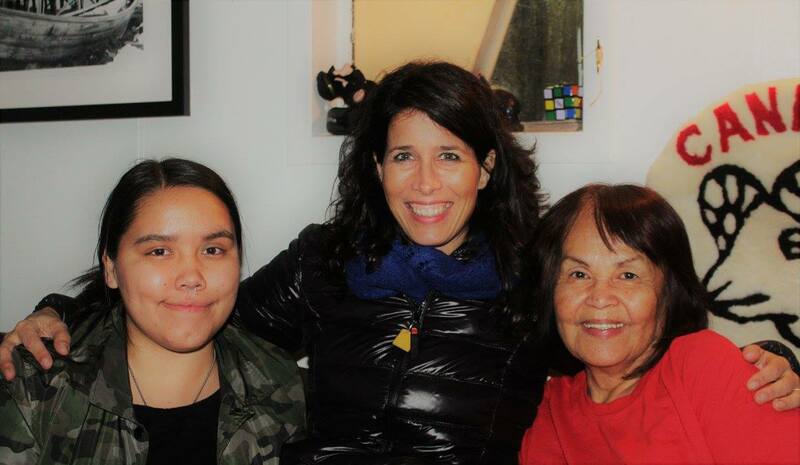 My name is Lillian Howard and I am from the Mowachaht-Muchalaht First Nation and of Nuu-chah-nulth, Kwakwaka’wakw, and Tlingit ancestry. I reside in Vancouver and am an Indigenous, social and environmental justice advocate. Right up until I arrived at the South airport at Vancouver, I did not want to go on the Canada C3 Expedition from coast to coast to coast because as an Indigenous person I was opposed to celebrating Canada 150. As a co-chair of the Vancouver Indigenous Urban Advisory Committee I was very involved in the Vancouver’s Canada 150+. The plus sign symbolized commemoration Indigenous peoples and cultures. From the Indigenous perspective acknowledging 150 colonization and moving forward together in the spirit of reconciliation. After a lengthy discussion with my daughter Cheleah, I decided to accept the invitation to join the C3 journey and it turned out to be an amazing journey. 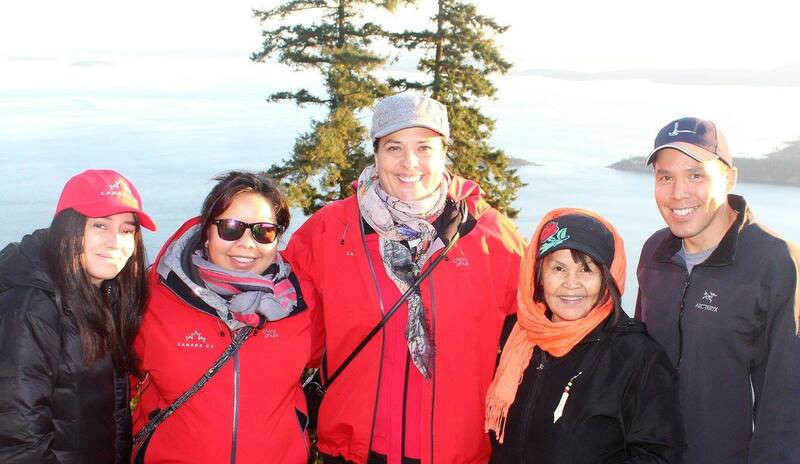 I was so relieved that there were 3 other Indigenous women on the Leg 15 of the C3 expedition: Racelle Laloya Kooy, Amanda Reid and Koosen Pielle and was very delighted when Inuit leader Natan Obed joined our journey. Between the 5 of us we shared our first hand knowledge of how colonization impacted Indigenous peoples and how historical trauma continues and affects our families and communities. For me it was important to share my story and to express that there is on-going negative policies that oppress Indigenous peoples on and off reserves and that racism that exists at every level of society towards Indigenous peoples. I was aware that in the spirit of reconciliation that it was important for me to listen and to participate in the Canada 150 C3 activities which focused on themes: Diversity and Inclusion, Reconciliation, Youth Engagement and the Environment. I was glad to hear that there was Indigenous representation on all 15 legs of the expedition and that the participants visited Indigenous communities from coast to coast to coast. In closing I am grateful that I did join Canada C3 because it taught me a lot about myself, especially in how I work with people from the larger society. There were tense moments and we worked through them. I learned a lot from the participants and the communities we visited along the Leg 15 stretch. I appreciate the time I spend with the participants and the C3 team who made it a memorable journey. It indeed was an awesome experience and one of the highlights in my life. I would also like to acknowledge Sarah Robinson, Principal of Rainwatch Consulting for recommending me. Finally, hands up to the Canada C3 team and participants for this epic journey and creating projects and legacies across the country.